Shaving is one of the most popular ways to temporarily remove hair from the skin, such as from the face (for men) or from the legs and from under the arms (for women). But the hair rapidly grows back. For most people, shaving must be done daily to keep the skin smooth. This is a huge hassle and time-sink. It can also get spendy. Good razors tend to cost more on average. Understandably, many people would like to find alternatives that last longer. People who have gotten fed up with shaving may turn to some of the more readily available commercial alternatives, including chemical depilatories and hot waxing. Both are capable of leaving burns, can be painful and can be a bad experience for many people. Some people have chemical sensitivities. Others react badly to the wax. Cold wax methods are available, but tend to be somewhat less effective than hot wax. Like shaving, these methods tend to be a messy hassle. Although some people are satisfied that you can do this every few weeks and then be hair-free, others find that the need to grow the hair back out before you can repeat the procedure means you really don’t get that much time to wear skirts and shorts between treatments. For people who are chemically sensitive, but don’t mind the mess and hassle, sugaring is an alternative to waxing. Sugaring works very much like waxing, but involves a sticky paste made mostly of sugar instead of using heated wax. Older methods that are falling out of favor include threading and abrasives, such as pumice stone. If you have certain health issues or restrictions for any reason, you may very much want an alternative to these common methods. So, are there methods that are safe, not so messy and that involve no chemicals? There are mechanical ways to remove hair. 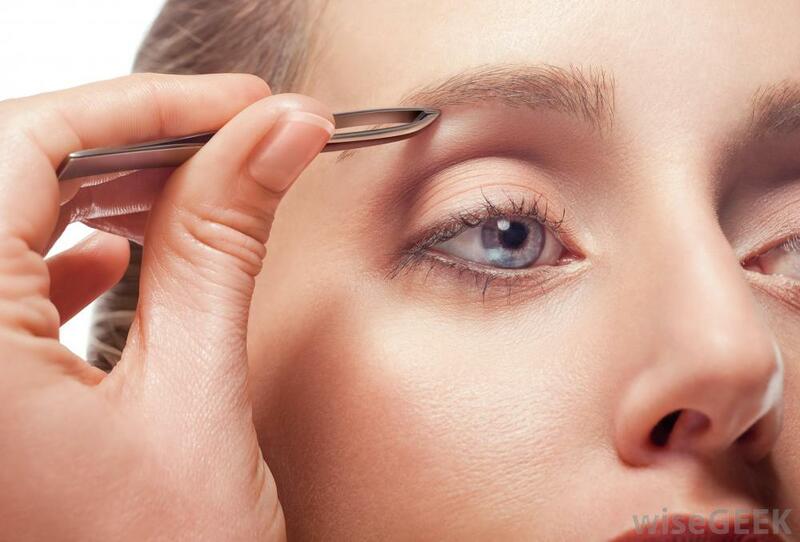 The most mechanically simple method is plucking with a good set of tweezers. Plucking is cheap and effective, but it also is a bit messy — where do you put all the individual hairs you have pulled out? — and it is incredibly time consuming, especially for large areas. While it makes perfect sense to pluck your eyebrows, it may make less sense to pluck other facial hair. Although leg hair can be plucked, the amount of time involved means it simply does not make sense for most people. It just takes way too much time, even though plucking can mean less grows back. 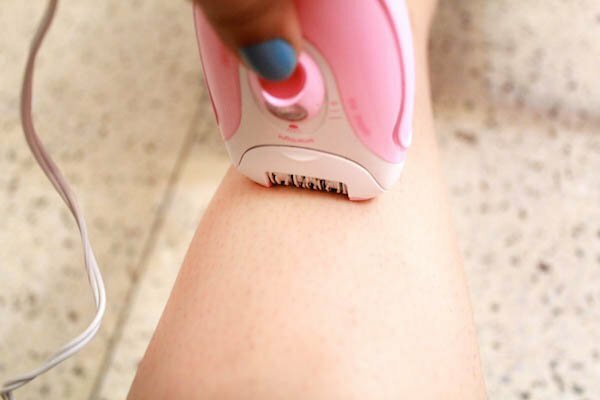 So, for large areas like the legs, some people turn to electronic hair removal gadgets popularly as epilators. These epilators tend to be strange-looking contraptions. If you have ever used them, you may view them as torture devices. They have various designs for trying to grab large amounts of hair and pull it up by the roots. They tend to be more painful than waxing and more likely to cause ingrown hairs. One of the benefits of hot waxing is that it tends to reduce the incidence of ingrown hairs in the aftermath of hair removal that involves pulling hair out by the root. It may make sense to use such devices maybe once a year, when you haven’t shaved all winter and you would like to take advantage of the fact that your leg hair is long enough to grab. But, like waxing, it tends to only last a few weeks. People who actually try such methods sometimes find that it just isn’t a practical approach if you want to wear a bathing suit or shorts frequently for several months. This method requires you to let the hair grow out between treatments. In practical terms, this means not wearing skin-baring outfits during that period. The short answer is that mechanical devices can be safe and effective, but they can also be a huge hassle, can cause unwanted side effects like many ingrown hairs and can be one of the more painful hair removal methods available. For many people, the promise of using a mechanical device may seem exciting at first, but can turn into sour grapes after they actually try them. If you really want to spend less time on hair removal and more time showing off your legs, it may make sense to get either laser hair removal or electrolysis. Laser hair removal tends to last about three to six months. Electrolysis can actually result in permanent hair removal. Because laser hair removal can last anywhere from three to six months, you can schedule it two to four times per years. This can allow you to wear whatever you want for much of the year. If you start it during the winter months, you can see reduced hair before bathing suit and shorts season rolls around. If you have particularly heavy leg hair or very dark hair combined with fair skin, this can be a wonderful benefit. Galvanic electrolysis uses direct electric current. Thermolysis uses a high frequency alternating current. Both methods use a needle to deliver the current to the hair follicle. The third approach combines these two methods. All hair removal methods come with some risks. They can all involve some amount of pain. You will need to decide for yourself which methods make the most sense for you. Some factors that can influence this decision include hair color, complexion, health issues and lifestyle. Some people simply don’t bare their skin that much. Others practically live in a swimsuit or shorts and may find that daily shaving is a tremendous hassle. If you are considering laser hair removal or electrolysis, these are non-invasive medical procedures. You would need to find a local plastic surgeon who performs the procedure and set up an initial consult. At that time, talk to the physician about your reasons for wanting to do this. For laser hair removal in Washington DC, seek the expertise of Dr. Philip Schoenfeld. Dr. Schoenfeld is a board certified facial plastic surgeon and has helped many patients struggling from unwanted body hair. For further information, check his site out at www.renudc.com.